How much does a 2019 Mazda CX-3 cost? Mazda customers are so excited to finally have the 2019 CX-3 at their local dealerships, and our Serra Mazda community is no different. With so much electricity in the air, we’ve been hearing quite a few questions about the 2019 Mazda CX-3 in recent months, and we are always happy to answer them. Today, we’re answering a very straightforward question, “How much does a 2019 Mazda CX-3 cost?” We have everything you need to know, so keep on reading! How much more does AWD cost on a 2019 Mazda CX-5? 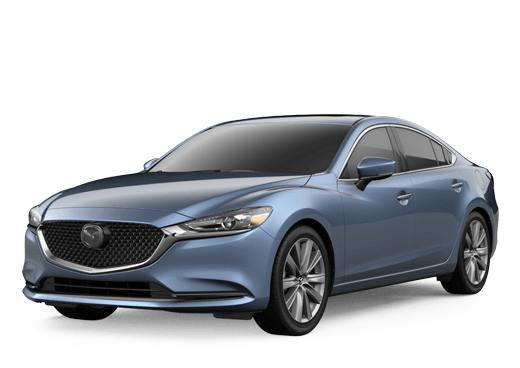 What Mazda consumers may not realize right away is that the price for a 2019 Mazda CX-3 doesn’t just depend on the trim level. Rather, it also depends on one’s choice of drivetrain. For the 2019 production year, the Mazda CX-3 comes with your choice of either front-wheel (FWD) or all-wheel drive (AWD). Those who prefer all-wheel drive will need to account for an extra $1,400, according to the Manufacturer’s Suggested Retail Price (MSRP). Between its three trims—Sport, Touring, and Grand Touring—and two drivetrains, the 2019 Mazda CX-3 can be crafted into six configurations, all of which have their own respective MSRPs. With all of that in mind, listed below is each configuration of the 2019 Mazda CX-3 as well as its respective MSRP. Read more: What are the 2019 Mazda CX-3 Fuel Economy Ratings? We were happy to answer your question, “How much does a 2019 Mazda CX-3 cost?” If you’d like any additional information about the 2019 Mazda CX-3, feel free to contact us and let us know how we may be of service. Or, if you’ve learned everything that you need to know and can’t wait to get behind the wheel, schedule a test drive! Either way, we can’t wait to hear from you! 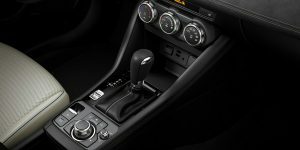 This entry was posted on Tuesday, July 31st, 2018 at 3:20 pm	and is filed under FAQs, Mazda CX-3. You can follow any responses to this entry through the RSS 2.0 feed. You can skip to the end and leave a response. Pinging is currently not allowed.